In my puppy kindergarten classes I still run into so many owners who haven't been properly socializing their puppies. Coming to class is their great first step but, there's still a huge misconception that 6 months is the age they can really begin training their puppy and introducing to friends and family. I always say there's not a light bulb that goes off in the puppy's head at 6 months where they realize how to behave and stop jumping on strangers. They begin taking in information and conditioning their responses to certain stimuli as soon as week 1, so we've got to take initiative in training and properly socializing them BEFORE even 12 weeks of age. Your goal, when you get your puppy around 8 weeks should be to socialize him like crazy, introduce him to all your friends, take him to a positive puppy class and begin house training immediately. Have your crate ready, along with plenty of chew toys and your potty journal nearby so you can track when your puppy is most likely to go. And don't forget about the critical socialization period ending at 12 weeks! Lots of work must be done beforehand and contacting a positive trainer beforehand to help you through it, will make a huge difference. Puppies need to be exposed to other dogs and people before that 12-week mark for proper socialization. Your pup should be handled by as many people as you can provide, from day 1. It's hard, as many owners are fearful about taking their puppy anywhere or doing anything before their 3 rounds of shots, but you can do it in the comfort of your own home and in a safe puppy kindergarten class. If you want to avoid problem behaviors like fear and aggression from developing then make sure you are prepared to expose your puppy to everything possible in those first few weeks at home. I always suggest taking a vacation when you get your puppy, as you'll need the time to house train and potty train and introduce to a ton of people and dogs. I encourage all owners to come to my puppy class BEFORE getting their puppy. I want owners to see how the training works, meet other puppy owners and see the issues they are dealing with so you are prepared and know what to expect. I offer a FREE drop in, so owners can stop in and audit my class anytime. I, of course, then encourage them to bring their new pup to class as soon as 8 weeks. My class areas are fully sanitized and we ensure the puppies safety in introducing them to the other puppies. We use a lot of Sirius Puppy Training methods, along with other positive training methods. My goal is to make sure you have fun while training your puppy and that your pup grows up to be a well rounded adult dog. 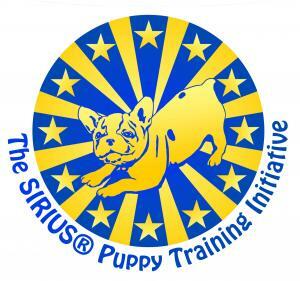 I'm happy to be taking part, as a professional trainer, in the SIRIUS PUPPY TRAINING INITIATIVE. The first thing I noticed when Alexis and her adorable Border Collie, Toby, came into my Loose Leash workshop was Toby’s fear of his surroundings and his shiny prong collar. Alexis was a new client and had been two other trainers with her rescue trying to correct his reactivity towards other dogs on leash. During the course of our class I spoke to them about getting Toby off the prong collar and onto a Gentle Leader or Halti. I explained that the prong collar, which was recommended by her previous trainers, was actually making Toby’s behavior problems worse. When Toby would see another dog while on his walk he would have high-pitched screaming fits and then receive corrections for his responses. Of course, Mom wasn’t aware that she could actually be making it worse for Toby; she was simply doing what her previous dog trainer told her to. After seeing how well Toby responded to the clicks and treats in class they approached me on training to reduce Toby’s reactivity on walks. Fortunately, Alexis was a dedicated mom who already positively taught Toby to do multiple tricks and basic obedience behaviors, she was just at a crossroads when it came to Toby’s reaction towards other dogs on leash. She told me she had seen a change once Toby was on a prong collar, but she wasn’t 100% happy with the results. We discussed how Toby’s already negative association with other dogs on leash was exacerbated every time he felt the corrections via the prong collar and that we would need to take a step in the opposite direction. 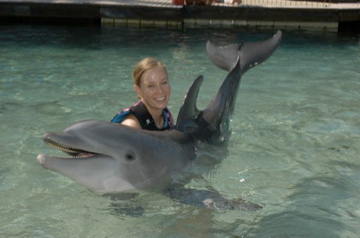 Thankfully, Alexis understood and was on-board to train Toby in a completely different way, the 100% positive way. It’s not often that an owner will want to spend time switching over to a different training method so I was excited when Alexis contacted me for their first session. I knew we could pave the way for Toby and Mom to have nice relaxed walks without the stress of Toby having a meltdown at the sight of another dog. We began by adding a lot of clicking and treating into our walks with jackpots coming when we were nearing another dog and while passing them. During our first walk Toby only had one little meltdown that lasted about 3-5 seconds and we were able to refocus him and continue the counter-conditioning and positively reinforcing calm behavior. Mom was prepared for the homework after seeing the results of the day and was confident she could recreate the walk and continue the counter-conditioning until our next session. Our next session was even better with zero meltdowns on the usual route. We raised the criteria by walking Toby near the dog park and we came across another dog on leash who was only 5-10 feet away as we turned the corner. I could feel the tension set in, as this normally was a recipe for a meltdown for Toby. I coached Alexis through it while she increased her distance and offered Toby his jackpot while the dog passed. The dog and owner passed by us and Toby was content accepting his jackpot in one big gulp and we were able to move on, with Toby walking nicely by Alexis’s side, not even glancing back once. We had done it! We were able to have a calm walk with Toby while passing other dogs on leash. He was clicked and treated and praised for good, calm behavior and offered a lovely paycheck for allowing other dogs on leash to pass within good range. Of course, this leap in training wouldn’t have been possible without Alexis’s daily training and dedication to getting her rescued Border collie on the right track to living a happy, full life through positive training. There was no need for any corrections; we just needed to set up a positive association between Toby and other dogs on leash. Toby isn’t 100% comfortable yet and there is still a lot of work to be done, but we are definitely on the right track. Later that week, Alexis sent me an update on Toby’s adventure to the beach and his behavior. Good News: Toby and I went down to the Huntington dog beach and had a very good experience. There was a little whining when we first got out of the car but nothing that got out of hand. We were able to heel and walk down to the off leash area very calmly. He even saw lots of dogs with his leash on and got lots of treats. He usually is a little calmer in an area he is unfamiliar with so I took advantage of that. 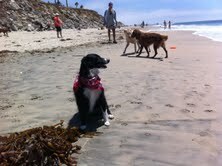 We walked up and down the beach for almost 2 hrs, playing and running and heeling off leash. So when we left on leash again he was able to pass by 4 dogs with out any problems! He was very proud of himself and slept the whole way home! Stay tuned for further updates! From a trainer's standpoint, I have seen behavioral problems greatly decrease after a dog has been placed on a healthy kibble diet. Hyper-activity, excessive jumping and nipping can all be affected in such a positive way with a good diet. 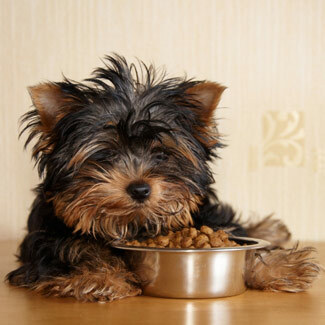 Check your kibble and make sure the first ingredient is a main protein like chicken, beef or salmon. You don't want the first ingredient to read by-product. Organic Kibble is a good way to go as those always have a great main protein source. 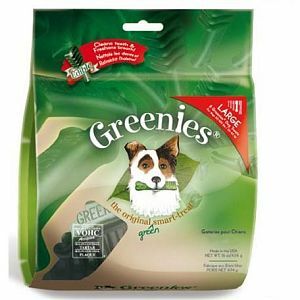 Yes, they are a bit pricier than the standard kibble and bits type dog food, but it's well worth the investment for the health and well being of your dog. California Natural, Taste of the Wild, Natural Balance, Evo, Solid Gold and Timber Wolf are some great options for natural, healthy dog food. 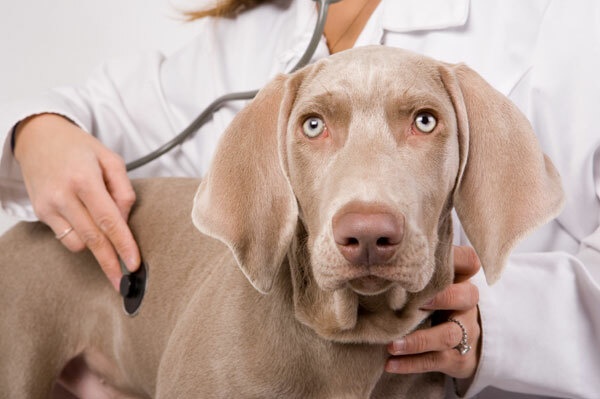 Place your dog on a healthy kibble diet and note what behavioral changes you see after a couple weeks. List the benefits you see and share them with us below! List your dog food and the positive changes you've noted in your dog. 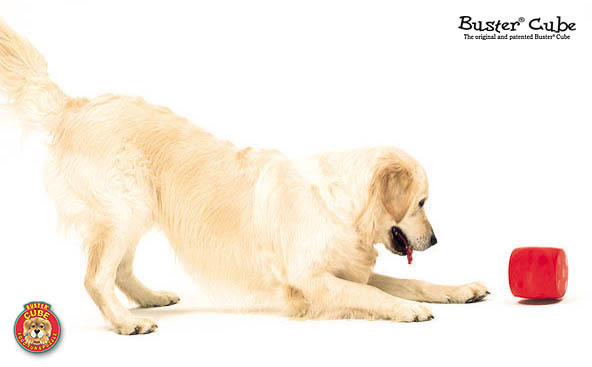 When should you begin training your dog and with what methods? The leading misconception that I run into during my training classes is that owners think training a dog really shouldn’t start till around 6 months of age. Traditional trainers who often use choke collars and harsh corrections in their classes established this rule of thumb. Those harsh methods would cause a young puppy some serious damage. At six months puppies’ necks are considered to be strong enough to handle the leash jerks and repeated corrections.Thank goodness most of us smart trainers have moved onto a modern way of training using positive reinforcement. We simply add good things into a puppy’s environment for good behaviors and voila, the rewarded behavior gets stronger and repeats itself! There’s no need for harsh corrections or a choke collar in order to get a dog to walk nicely on a leash, all that’s needed is a form of payment to make walking next to you rewarding. 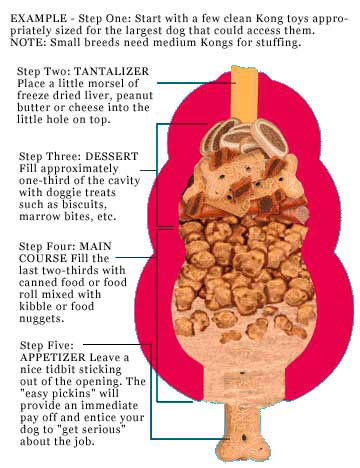 Hot dogs, cheese, liver treats or boiled chicken breast all make great payments for most dogs. When a dog gets yummy food for walking nicely by your side and doesn’t get much of anything when he pulls, he’ll realize walking by your side benefits him much more. Now I know what you’re thinking, that your dog will become a treat-crazed pooch that only responds to cues when you have food in hand. Not if you put your dog on a variable reinforcement schedule, by varying the times you reward. Your dog never knows when he’s going to get the treat on a variable schedule, so he continues to give you 100% because he definitely doesn’t want to miss out on the opportunity for some hot dog. With this positive way of training I can accept puppies as young as 8 weeks old into my training classes and teach owners how to reward and then phase off food properly. Young puppies can learn sit, down, stay, heel, come and much more with the use of positive training, without the abuse of choke chains and harsh corrections. Fostering training during a puppy’s socialization period (8-12 weeks old) sets a good foundation for your relationship with your dog right off the bat. 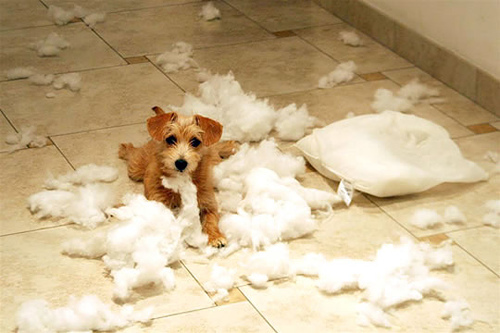 Don’t be misled by the thought that your puppy is too young to begin learning behaviors. The socialization period is actually the best time for your puppy to be learning and bonding with you. Positive training allows you to build on your relationship with your dog and you can begin the day you bring him home. You could have a puppy who knows sit, down, stay, go to your place and come by the time he’s 6 months old with the use of positive training. Not to mention, you’ll have a happy, well-rounded pup that offers behaviors with joy, as opposed to, offering behaviors reluctantly to avoid punishment. Forget about being your dogs’ boss and being the Alpha. Think about how you can positively reward behaviors you’d like to see repeated and then make it happen. All will fall into place once your dog realizes he gets your attention when he offers good behaviors. So go ahead and toss the choke chains and the prong collars in the trash and move onto becoming a kind and benevolent leader. Focus on rewarding the good and you’ll see a dog begging for his next training session with you. Train the positive way; your dog will thank you for it. Start your Puppy Kindergarten Class this Sunday! A dog’s recall is not an instinctual trait but a skill that is learned and reinforced over time. Your recall command is sacred and should only be used in combination with fun, positive things, so that your dog will be encouraged to respond quickly. The lack of motivation in the dog to come when called has everything to do with what happens once the dog reaches his owner. Have you called your dog to come to you to only yell at him for chewing up your high heels or peeing on your favorite rug? If so, all you are doing is setting up your dog’s recall to be associated with bad things. The consequences that follow the come command determine whether or not your dog will have a great recall or a “take his sweet time before returning” type of a recall. Find ways to make the recall fun for your dog, whether it’s with a belly rub, a piece of chicken or a chewy as a reward. Start associating your recall word with good things to come and you’ll see your dog come happily bounding towards you in no time. 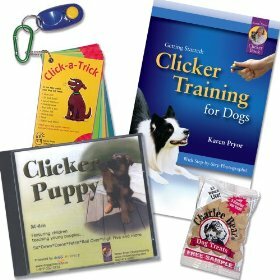 Ever wonder what the heck Clicker Training is? Well I will tell you that as a trainer, I have found it to be the best positive reinforcement technique for training dogs. The clicker is a small sound maker that allows you to mark the exact behavior you are looking for at the exact moment your dog offers it. This allows you to communicate “Yes, that is exactly what I was looking for and your treat is coming”. The clicker bridges the gap of time between your dog’s correct response and the reinforcement to come. It always means, “Yes, that’s it!” which makes it fun for your dog. Your dog then knows precisely what he/she is being rewarded for and aims to offer that behavior again in order to hear that uplifting click! What’s the difference between just saying, “Yes” or “Good” and clicking, you ask? Well, I have found that when teaching any new behavior, the clicker gets the training done in almost HALF the time! When I’m teaching a Down with a clicker vs. a verbal marker (i.e. : Yes) there’s a difference of about 20 minutes for me. When I use the clicker, the dog knows precisely what he/she is getting that yummy hot dog for. With the verbal marker, my voice varies and changes and doesn’t have the consistent sound that the clicker offers. The dog may sometimes not think that the “Yes” was directed at him/her. We talk a lot around our dogs, so they are constantly channeling out all that information not intended for them. Confusion may set in and that slows down the training quite a bit. The clicker holds a steady beat of positive feedback for your dog and that type of consistency will make all the difference in your training program. Train efficiently while still being 100% positive. Pick up a clicker and seek the advice of a trainer so you can start seeing rewarding results of your own. Save yourself from stress and prepare ahead of time for your lovable Puppy. 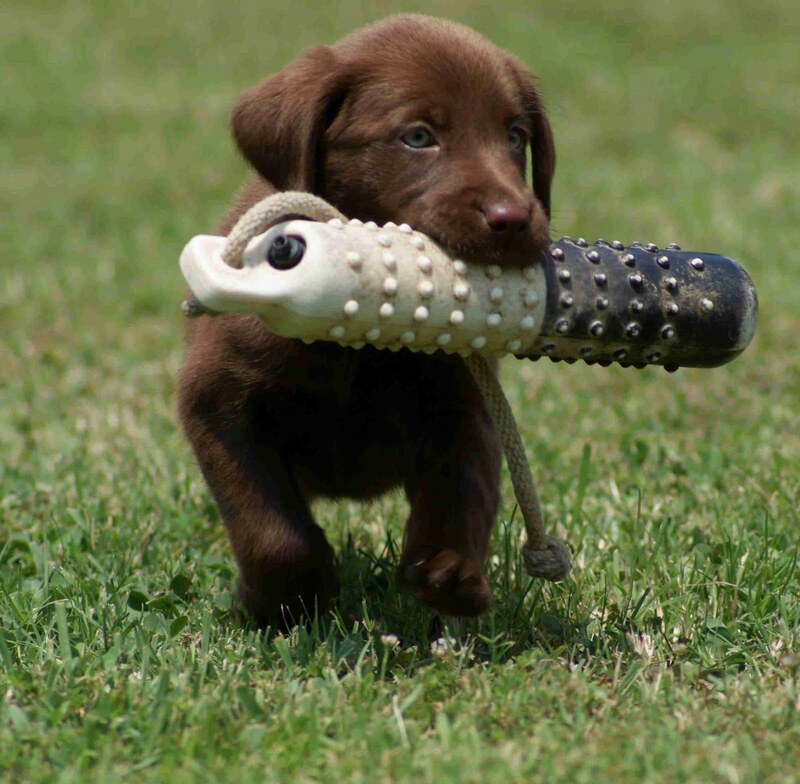 If you are preparing to bring home a new puppy make sure you have received the advice of a trainer on what dog will fit you and your family the best. Before actually getting the new puppy, get everyone on board with training, housebreaking & walking responsibilities. Your pup will ease into all the new house rules much quicker if everyone is following the same techniques. Your house should be puppy proofed before the little one arrives if you want to keep your gadgets, antiques and dress shoes in one piece. Remember that your pup does not know that those were your nice Gucci shoes and that soft, thick rug was an antique. For a puppy, those shoes looked like a fun toy and that rug felt like a good place to relieve a full bladder. Your puppy isn't trying to annoy you; he just needs to learn the house rules. He will need your direction on going potty outside and chewing on a rawhide instead of your work shoes. I recommend seeking out a positive trainer and beginning training as soon as you bring your new pup home. With positive reinforcement techniques you can start training your puppy as soon as 8 weeks! Don’t wait till your pup is 6 months old and has developed a plethora of behavioral issues, start right away and you’ll be happy you did.